Apple's mysterious events are no longer mysterious at all. 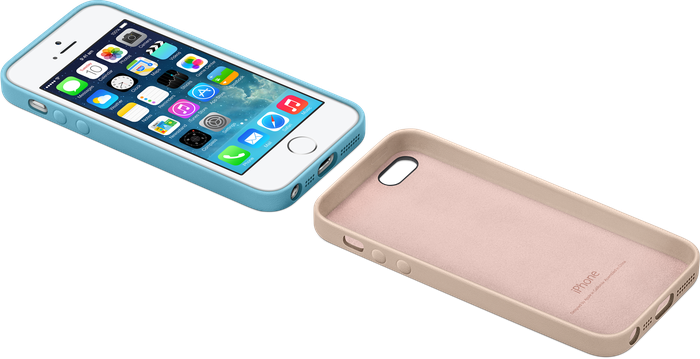 The company has unveiled two new iPhone devices, but there were no real surprises: the iPhone 5s replaces last year's iPhone 5, and the iPhone 5c is a colourful new option with an all-plastic case. We've got all the Australian details you need to know for both new models. iPhone 5s and iPhone 5c, what's the difference? The iPhone 5s is Apple's premium iPhone, and a direct replacement for last year's iPhone 5. It looks exactly the same as the iPhone 5 (hence the 's' name) but adds some new features. The main addition is a biometric fingerprint sensor on the home button that Apple calls touch ID. This will allow you to unlock the phone without needing a passcode or password. It can also be used in place of an iTunes Store password when purchasing apps and content through the Apple App Store, though it can't be used for anything else just yet. The iPhone 5s also has a faster A7 processor, includes an upgraded camera with a new two-tone flash, and is available in three colours: silver, gold and a new "space grey" model. The silver and gold models have a white front, while the space grey variant uses a black finish on the front. The iPhone 5c on the other hand is a different beast altogether. It's basically last year's iPhone 5 wrapped in a new, plastic case with bright colours. Unlike many people expected, it's definitely not a cheap smartphone. The 'c' clearly stands for colour. 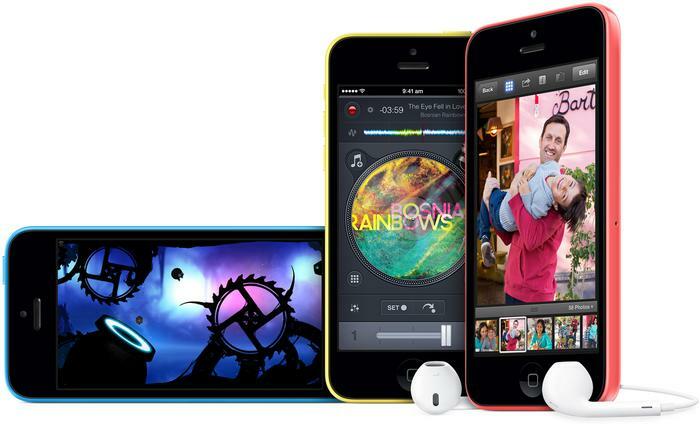 Many thought the iPhone 5c would be Apple's replacement for the iPhone 4S. However, that phone is still selling in Australia for $529, so there is a case to be made for the 5c essentially replacing the iPhone 5. Instead of selling the iPhone 5 at a discount, as Apple usually does when new iPhones are released, it will discontinue the iPhone 5 completely. The 5c will be sold in its place, ever so slightly cheaper. The iPhone 5c is available in white, red, blue, yellow and green colour variants, and Apple says it is "beautifully, unapologetically plastic". The company spent most of the launch event discussing the design, and claims you won't see any seams, part lines, or joins. The iPhone 5c is likely to be a genuine option for users upgrading their two-year old iPhone 4S: they'll get a larger screen, faster internals, a better camera, and a range of bright, vibrant colours. How much will they cost in Australia? Both the iPhone 5s and iPhone 5c will be sold outright through Apple's Retail Stores, and through the Apple online store from Friday, 20 September. The iPhone 5s will once again be available in 16GB, 32GB and 64GB models with Australian pricing starting at $869 for the 16GB model. The 32GB model will set you back $999 and the 64GB version will cost a hefty $1129. The iPhone 5c is slightly cheaper than the iPhone 5s, but the outright price difference is marginal. It will come in 16GB and 32GB models, with Australian pricing starting at $739 for the 16GB model, and $869 for the 32GB model. 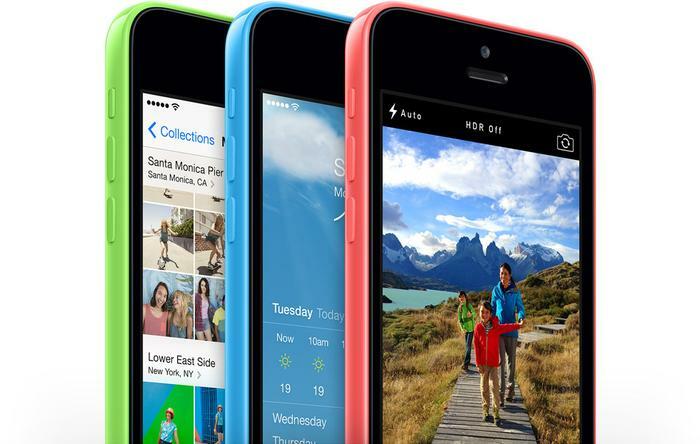 There is no 64GB model of the iPhone 5c available. 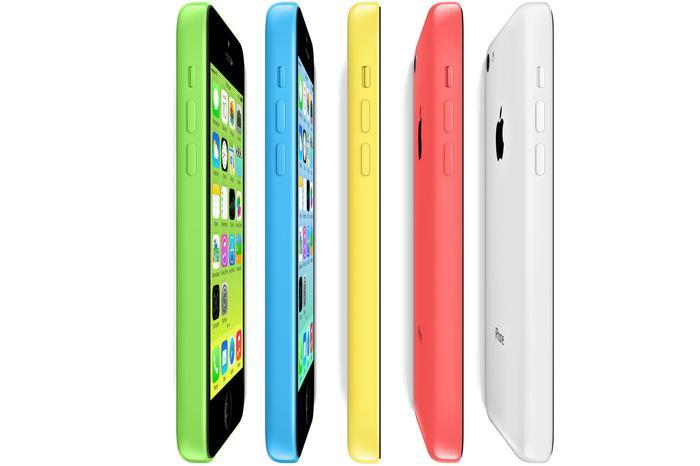 Unlike the iPhone 5s, Apple will open online pre-orders for the iPhone 5c from Friday, 13 September. Those who want to buy an iPhone 5s will have to wait until launch day a week later. I'm not interested in buying outright, how much will they cost on plans? Why is the iPhone so much cheaper in the US? It's really not. While we pay a premium on outright iPhones compared to the US, the difference isn't as much as you're lead to believe. The 16GB iPhone 5s is NOT $199 outright in the US. The US$199 pricing is the subsidised handset price for US residents if they take up a two year contract with AT&T, Sprint or Verizon Wireless. The outright price of the iPhone 5s in America is US$649, compared to $869 here in Australia. Similarly, it's the same story for the iPhone 5c. The 16GB model does NOT sell for $99 outright, but US$549. Again, that's cheaper than the $739 we pay here in Australia, but it's not a sizable difference. Remember that you need to take into account the US to AU dollar exchange rate on any price conversion. Australian outright prices for the iPhone 5s and 5c also include GST, while the US prices don't include state taxes. While we do pay more Down Under comparatively, the difference isn't huge once you've made all the calculations. Both the iPhone 5s and the iPhone 5c will work on the 4G networks operated in Australia by Telstra, Optus and Vodafone. All of these networks use the 1800MHz LTE band. Virgin Mobile, being an Optus MVNO, will also sell the iPhone on its 4G network. One difference compared to existing iPhone models is that both the 5s and the 5c will also support Optus' "4G Plus" network in Australia. That's because both models support the 1800MHz FDD-LTE network (band 3), and the 2300MHz TD-LTE network (band 40). The latter is a new network in Australia and is marketed as 4G Plus by Optus. Optus is currently the only telco in Australia to offer both TDD-LTE (time-division duplex) and FDD-LTE (frequency-division duplex) 4G networks, though the new TDD-LTE network on the 2300MHz band is currently only available in selected parts of Canberra. Apple's Australian specifications page for both the iPhone 5s and the iPhone 5c confirms the iPhone 5c variant for Australia will be the A1529 model, while the iPhone 5s is the A1530 device. Interestingly, both new iPhones come in five seperate models each in order to support various mobile networks in different markets across the globe. Will Apple sell any accessories for the new iPhones? Yes. Apple will sell its own custom case for both the iPhone 5s and the iPhone 5c. 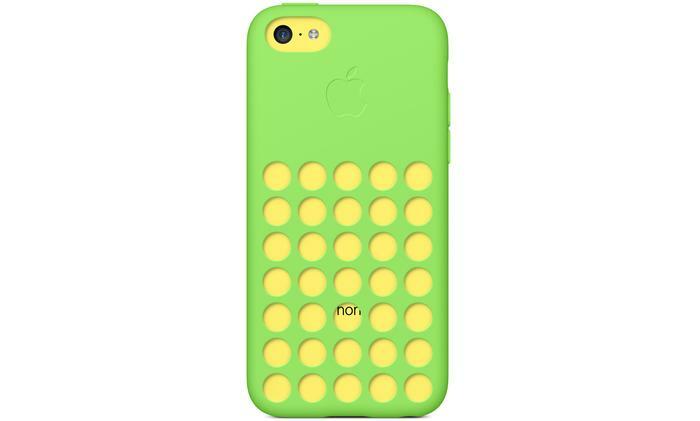 The iPhone 5c case is made from soft-feeling silicone and is priced at $39 in Australia. The case comes in blue, green, pink, yellow, black and white colours. Interestingly, Apple has opted to have circular cut-out patterns on the back so you can see the colours of the phone underneath. The inside of the case is lined with microfibre. The iPhone 5s case is made from leather. Apple says the leather is deliberately shaped to cover the volume buttons, the on/off switch and the chamfered edge of the iPhone 5s. The case comes in six colours (brown, beige, black, yellow, blue and red) and is priced at $48 in Australia. What do you think about the iPhone 5s and iPhone 5c? Are you impressed? Has Apple given you enough reasons to update from an iPhone 5 or iPhone 4S? Let us know in the comments below!